With the cost of eggs and chicken in the stores, and the uncertainty of exactly where they came from or what they have been fed, I’d like to start raising my own chickens. But unlike gardening, I know very little about chickens. I know barbecue wings with ranch dressing make a great snack. And I know that I don’t like my yolks runny. Beyond that, I’m clueless. I have so many questions. What breed is best for egg layers? What breed is best for meat? What is the best method for raising them…free range or a coop? How well do the chicken tractors work? Are there any foods that a chicken shouldn’t eat? How do you take care of them in the winter? I could do some research online and maybe get some answers. But I’d prefer to hear from someone with first-hand experience. Well, help has arrived! To get questions to these answers and many more, I have enlisted the help of Paul Wheaton. Many of you may know Paul from his extensive list of YouTube videos about rocket stoves. Here is his channel: http://www.youtube.com/user/paulwheaton12 others may know him from his permaculture forum… http://www.permies.com/ where they discuss everything from vermicomposting, greenhouses, hugelkultur, to rocket mass heaters and chickens. Paul has years of experience in raising chickens of many breeds, and has a wealth of knowledge that should be of benefit to anyone considering raising their own chickens. 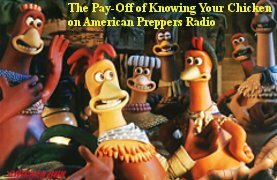 Join us on this edition of “Preparing to Provide” for what promises to be a very informative and entertaining discussion about all things pertaining to chickens. 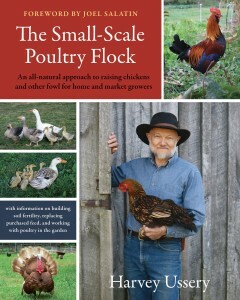 More books from Amazon on chickens go HERE! Listen to this broadcast on Chickens, raising your own in player below. Next: Next post: The Surreal News 3/19/2014 with Goat Hollow!